top level production. His tracks have found homes on iconic imprints such as Kevin Saunderson's KMS in Detroit, John Digweed's burgeoning Bedrock Records, Christian Smith's Tronic and Sasha's Last Night on Earth label. Ian has reworked classics like Inner City's 'Good Life' and collaborated with legends like John Digweed along with a string of top solo releases, which have won favour with industry titans like Richie Hawtin and Carl Cox. After standout early releases on Detone and KMS, 2015 sees Ian O'Donovan's stock once more on the rise, fuelled further by the signing of inimitable techno cut 'Vortex' to Adam Beyer's global phenomenon Drumcode Records; an indication that this timeless producer is only now entering his stride. With an arsenal of dance-floor weapons developed over a decade by his side, Ian is committed to bringing his dj sets to the world, taking music lovers on an intricate journey both into the artists mind and to a place of musical inspiration. 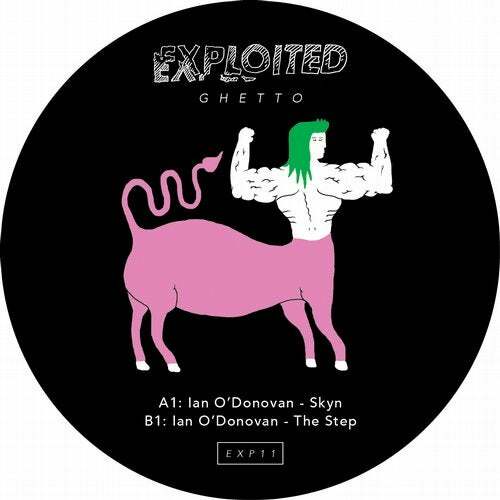 With Skyn Ian debuts on Exploited Ghetto - a melodic tropical house affair. The Step on the flip is straight 4 to the floor techno business.